Create a default VM and boot it from the ISO. 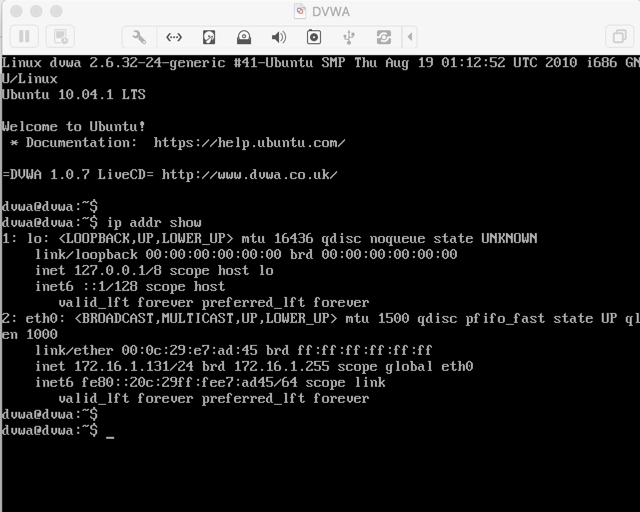 Find your VM's IP address, as shown below. 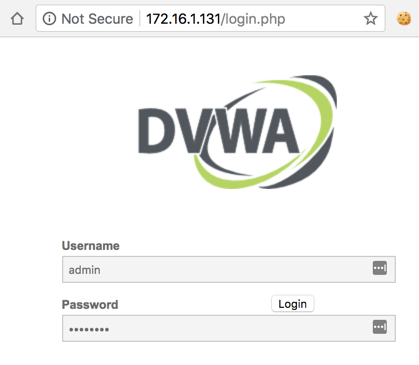 Open that IP address in a browser. Log in as admin with a password of password as shown below. 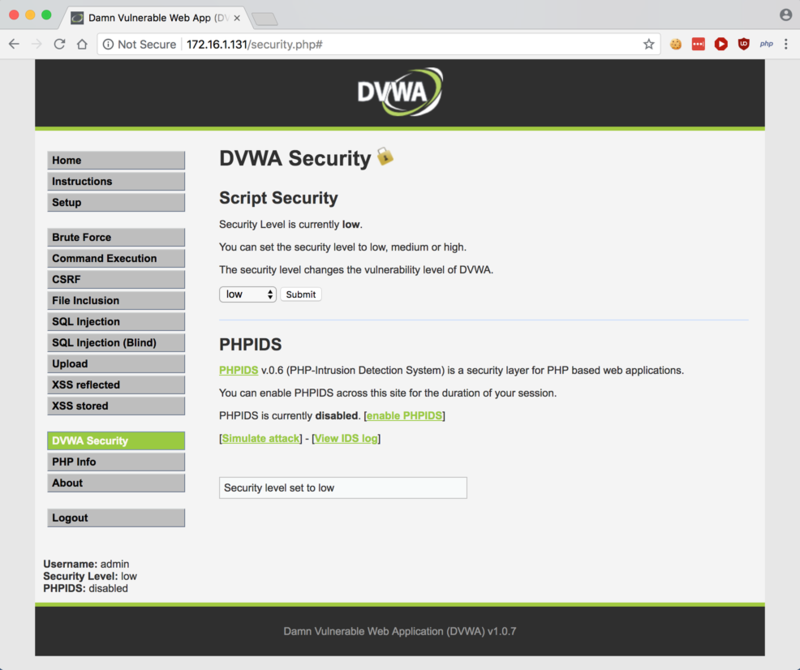 On the lower left, click "DVWA Security". Set the security level to low, as shown below. 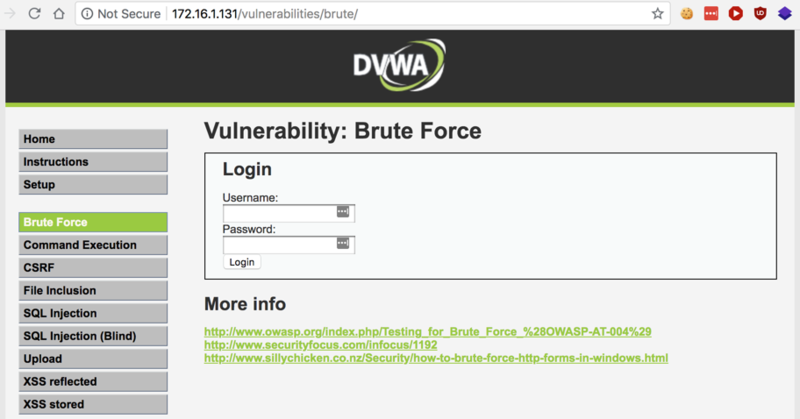 On the lower left, click "Brute Force". For this project, only this page is in scope, as shown below. Don't test other parts of the page. However, feel free to try higher security levels after completing the challenge at "low" security. Find vulnerabilities, and hack the target. Keep track of what you have done. This will be either a written report, or a 5-minute in-class presentation, explaining what you did, and how you did it.